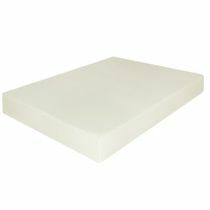 Our top of the line solid latex mattress for RV's. 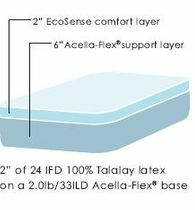 This model features a full 6" Talalay latex core in either soft, medium or firm configurations. 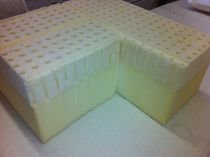 It also has our very best bamboo/cotton quilted cover featuring all natural New Zealand wool for that cool in the summer and warm in the winter benefit that wool is famous for. Finished size is 7". Please specify Queen or Short Queen when ordering. The comment section of our order page is used for this.